With thousands of new books released each day in the U.S., author publicity services are more critical than ever. Smith Publicity has been in the author marketing and publicity business for more than 18 years and has implemented thousands of publicity campaigns. We’ll help get you and your book recognized in a crowded marketplace. An important early step in author marketing is determining the correct media outlets for a book. All author publicity programs need solid direction and a laser focused strategy. Knowing the market—and developing pitching angles and ideas specifically for each project—is key. Author publicity then focuses on getting the writer noticed. There are numerous ways to go about this, and the strategies we use will depend on factors such as an author’s background; how well he or she is already known; what the book is about; its selling scope – international, national, regional, local; who we’ll be marketing the book to; current news, stories, trends; the author’s availability to travel; and a host of other factors. Author marketing campaigns that follow cookie-cutter approaches simply won’t work in today’s competitive literary world. Most author publicity endeavors aim at getting the writer connected with the media. Smith Publicity is experienced in author marketing programs involving television, radio, newspaper, magazine, and online outlets. We know how the media works, and we know that success reaching targeted groups in these areas can mean the difference between a successful author marketing campaign and one that never gets off the ground. Some authors want to do it all themselves. The trouble is, few have the media and public relations experience and resources of a good publicity firm. 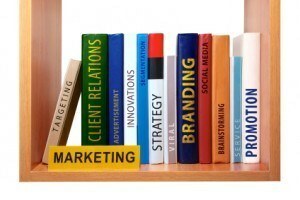 Author marketing and writing a book are two very different disciplines. Self-promotion isn’t easy for most people. That’s why they turn to an agency with years of proven expertise in developing marketing messages, identifying and penetrating target markets, creating author-marketing materials, dealing with the media, and keeping everything running according to schedule. Author publicity programs fail when clear leadership and experience aren’t forging the way. See what others say about working with Smith Publicity on an author marketing campaign! When your book or e-book is ready, contact us and let us bring knowledge and ingenuity to your author marketing campaign.